12.10 Arrived on our boat. Started engine. Realised no cooling water flowing. Tried but failed to fix. 20 mins from the call for help to being back in action. Really efficient and charming team! Fantastic service. Better than the AA and RAC combined. I suppose everyone can have their own opinions about a boat. Samphire does have weather helm, but only when over-canvassed! She is quite heavy but this is a good point as she does not feel too tender for a 20 foot boat. I would say the mast is in exactly the right place. Anyway I love sailing her and we always have admiring words from other boat owners on the Yare. I am restoring a Norfolk Gypsy in Okinawa Japan, The boat has a devoted fan club of Japanese sailors who pass by every day to comment on the quality of construction, the craftmanship and overall cool, compared to their mass produced boats. I sailed over to Cowes on Saturday with 2 mates – heavy weather, big waves, supertankers, jetfoils, massive tide running. It got dark by 3 (forgot to take any lights, doh). Brilliant fun and she handled it all brilliantly. We were the only sailing boat in the Solent! We sailed her over to the Isle of Wight on Saturday in a force 6, gusting 8. It was a double-reefed beat all the way there and a 10+ knot surfing trip on the way back. Pretty darned exciting. She’s really great. 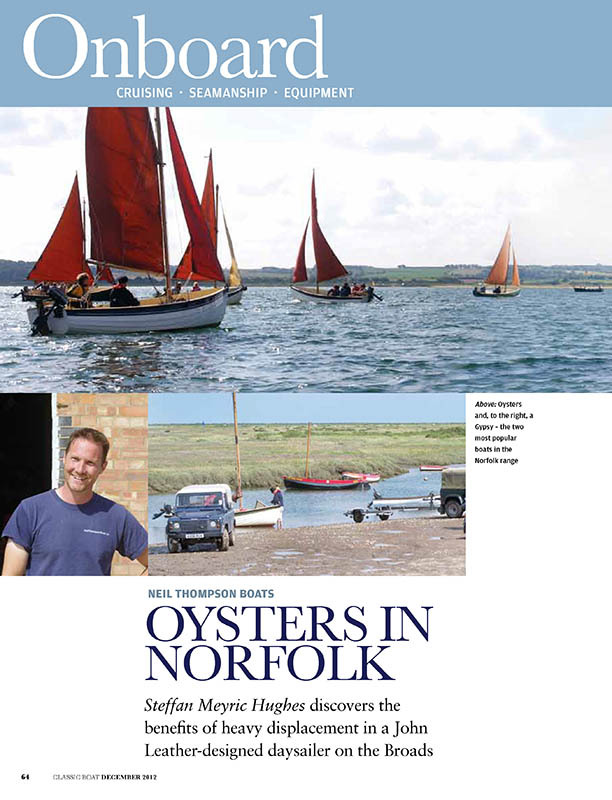 There is something very special about owning a Norfolk Oyster. 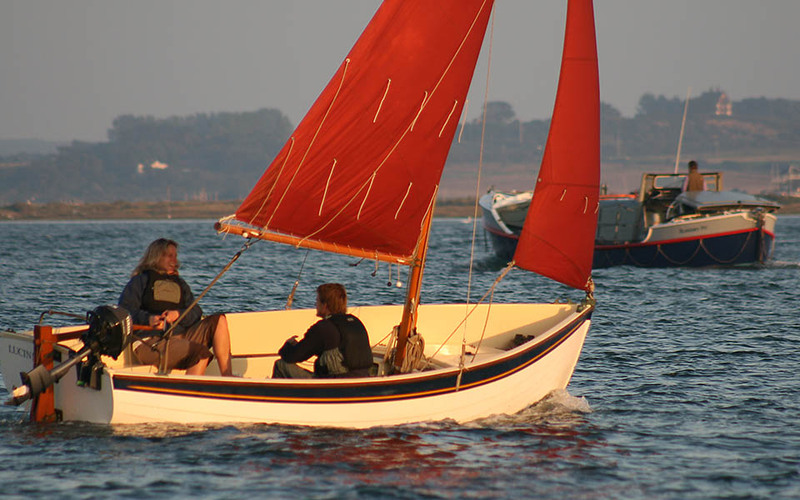 After many years of dingy sailing I finally purchased my Norfolk Oyster in 2010. 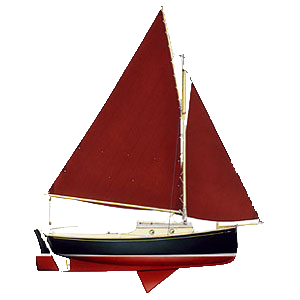 John Leather designed the boat in the 1950’s for himself as a perfect boat for sailing single handed or with the family, and I would have to say that he nailed it! You can relax and fully enjoy the beauty and elegance that you get in a light breeze, or the passion and reassuring punch that she gives in a force 6. I like to say that she is purposeful in every way. She is responsive, yet she is forgiving. She is beautiful, yet she is strong. 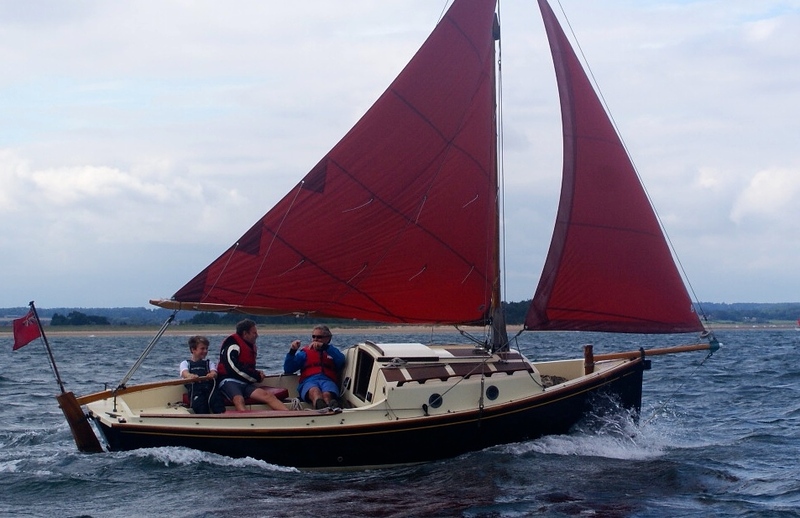 I love to sail ‘Annie’ on my own but its just as enjoyable with family and friends. I have to stop myself from going into my usual sales blurb that you will find on the website or by talking to me direct, but Annie is a boat that I love dearly. 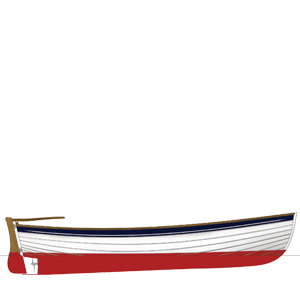 Our Norfolk Gypsy is a hugely versatile boat with classic styling that looks great in the North Norfolk waters. The build quality is exceptional and is low maintenance. 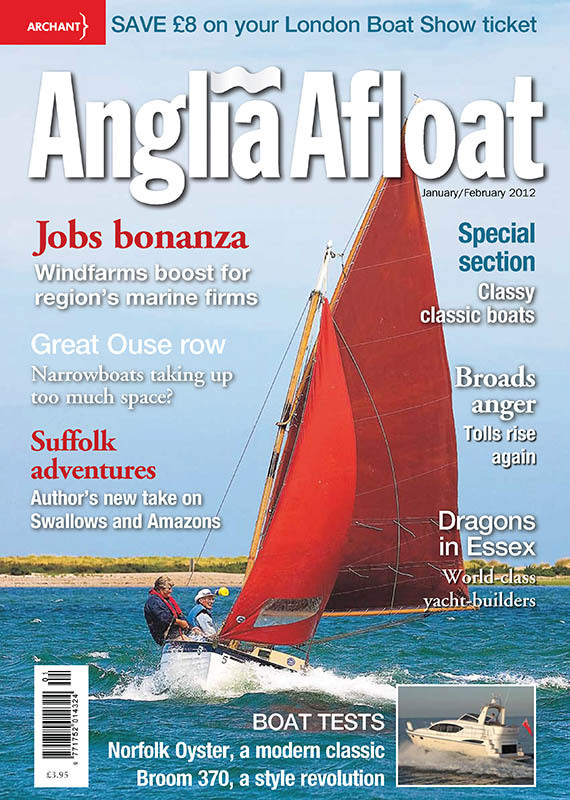 A shallow draft and lifting keel allows her to sail in shallow waters, allowing us to enjoy Blakeney Point at its best. The Gypsy has a very functional 2 berth cabin, containing a stove, wc and 2 comfortable bunks – ideal for that overnight stay. In addition, a tent can be erected outside providing 2 more berths – ideal for children. The Gypsy is very easy to rig up and is a joy to sail. 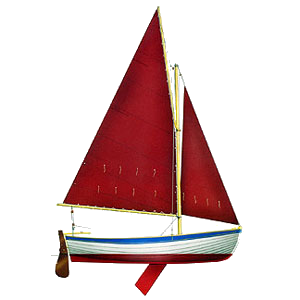 For a 2oft boat it turns easily and is capable of sailing in very windy conditions as well as those beautiful light sea breezes. Our 15 year old son has been helming our Gypsy for over 4 years now and it’s effortless for him. Overall the Norfolk Gypsy is a true family boat and is exceptional value for money plus more importantly a lot of fun! We found our Gypsy ‘Molly’ three years ago in a yard in Surrey, some way from the sea. She was in a rather neglected state but was excellently restored to ‘as new’ by Neil Thompson Boats and has proved to be the best boat that we have ever owned. Our Norfolk Gypsy is ideal for the conditions found on the North Norfolk Coast or any coastal area or estuary where depth is an issue. Drawing just 0.5m with the plate up, she is ideal for creek crawling but is also a very capable and safe boat at sea. 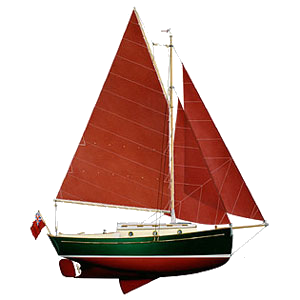 We have sailed her in light airs, which she manages well, and she can be great fun in a blow. The cockpit is large and can easily accommodate four adults. We have found Molly to be well balanced with an easy helm. If over canvassed in a blow she will do the safe thing and tend to grub up towards windward. Balance is quickly restored once a reef is tucked in, which is quick and easy to do. Her tan sails are straightforward to raise and set. All fittings and woodwork are high quality, look great and perform well. The Yanmar 1 GM engine is reliable, uses very little fuel, but is sufficiently strong to punch against the tide. Down below, the cabin provides us with a cosy space with plenty of woodwork and charming portholes that can be opened when moored. It has been well designed with a table that rotates, separate chart table, gimballed spirit stove and tap with bowl underneath. A small cassette toilet is located under the chart table. The two berths are comfortable and work best for overnight stays when Molly is afloat. Norfolk Gypsy’s are relatively expensive for their size, but this is explained in the quality of their build and fittings. 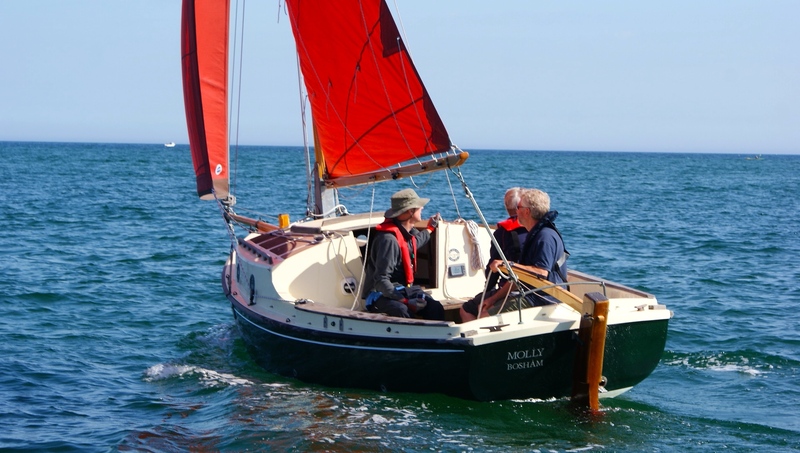 There are few boats of similar size that look as good and are as sea kindly as Molly. Gypsy’s also hold their values well. In summary, our Norfolk Gypsy is a great boat and we are glad that we found her. Thanks to Neil and the team. little boat! Easy to sail, its like an armchair on water! you again for your efforts. I learnt to sail when I was in my 30’s and it was my aim to buy a small yacht when I retired and sail round the local rivers single handed. I looked in depth at all the options. In the end it came down to two boats the Cornish Shrimper or The Norfolk Gypsy. Having closely experienced the two boats I lost my heart to the Gypsy. 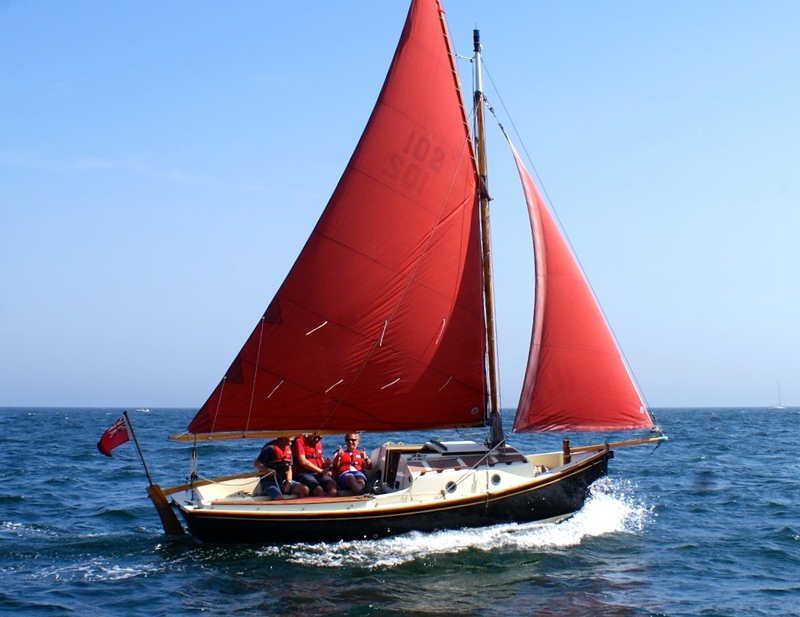 I was forced to retire early through ill health and although I had not done any sailing in over 20 years, I bought a Norfolk Gypsy, I am not a good sailor but she is a joy, and a very forgiving boat. Last year I completed a solo trip to the Walton Backwaters. A round trip of 50 nautical miles and coming home I ran into bad weather. The sea was full of white horses but my Daisy Bell saw me home and not a drop of water came into the boat. Our Gypsy, White Heather, is good mannered and fun to be with in all weathers and like all fun ladies will pick up her skirts and be a bit skittish when the mood takes her. I lurve my Gypsy! Thank you. Just back from our first sail. Terrific! Sailing Tink is a dream in all types of wind, as she carries her way like a keel- boat, is stable like a catboat, yet shares the responsiveness of a dinghy in a breeze. Handling the tiller and looking up and seeing those classic spars sewn to a small cloud of tan sails set off by the blue sky is unlike any other experience. vessels with modern design and traditional service. 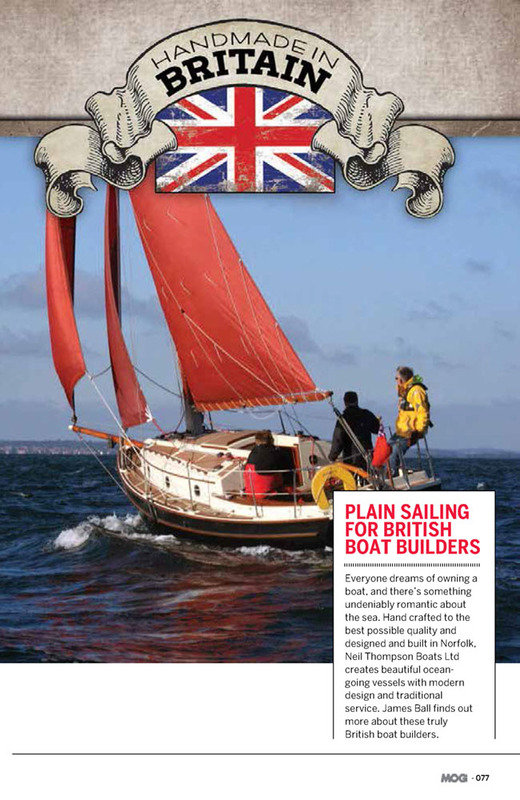 James Ball finds out more about these truly British boat builders. It couldn’t have been a more perfect morning at Morston for our Norfolk Explorer test. Although an early start was needed to catch the tide, even at 7am the June sun had enough strength to allow us the luxury of motoring out of the creek in just shorts. 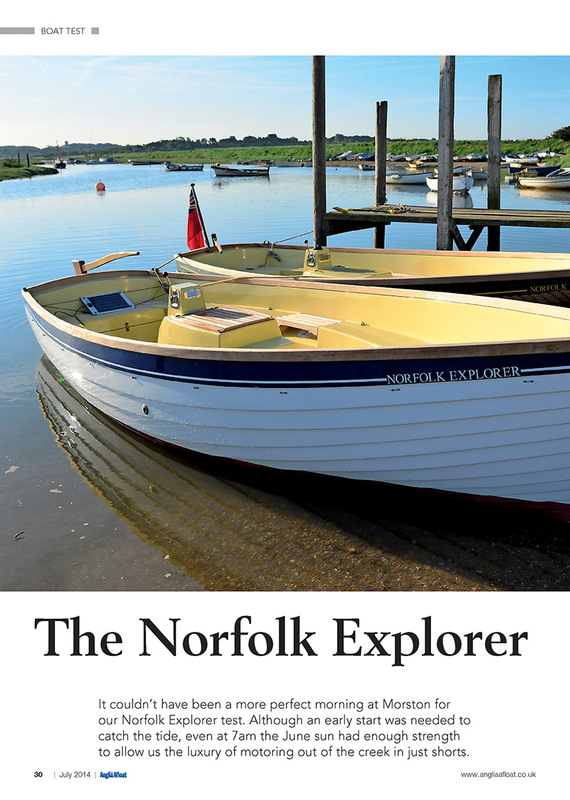 Neil Thompson has launched the latest addition to his Norfolk range of traditional-style sailing boats; the Norfolk Explorer is his first motor launch, built on the popular Norfolk Oyster hull. Powered by a 14hp Nanni Kubota twin cylinder diesel she is designed to carry six adults and all their gear. 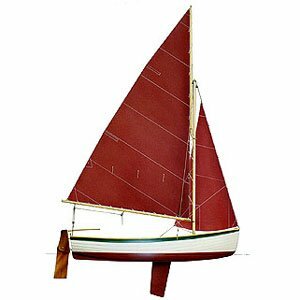 “The Oyster was designed as the sort of dayboat I wished to own after many years of experience of the type,” wrote naval architect John Leather of the 16ft 9½in (5.1m) dayboat that he designed in the early 1960s. 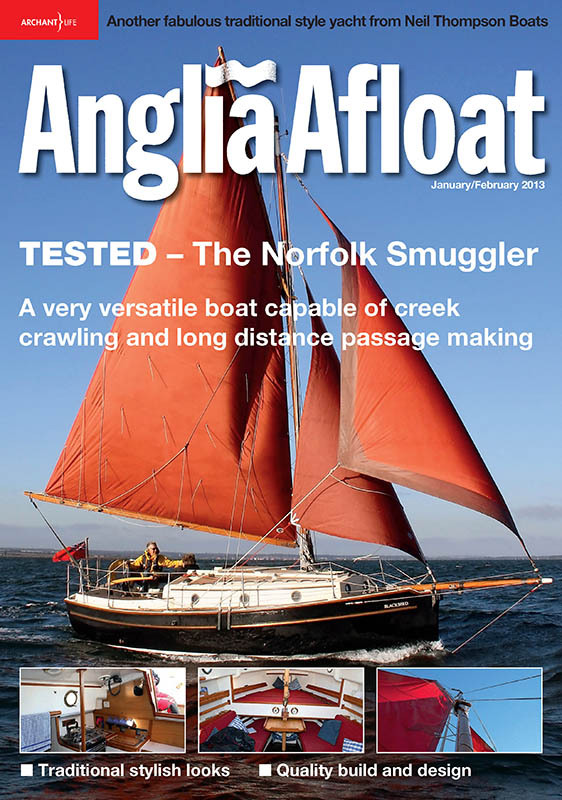 The Norfolk Smuggler is a comfortable, four-berth, long-legged cruising boat capable of some serious passage making yet she is also ideal for creek crawling. 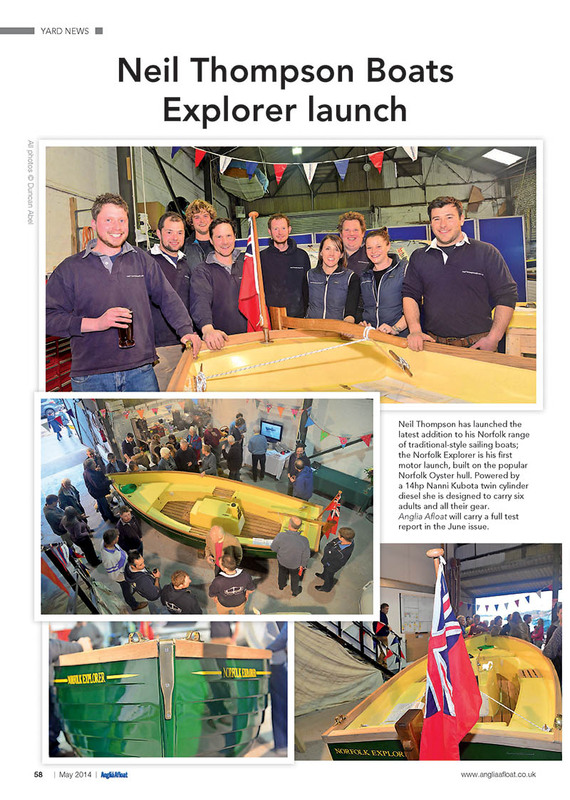 After some years spent mainly maintaining the existing fleet, big things lie ahead for Neil and Richenda, with the launch of the new Explorer next year, an engine launch version of the Oyster; and even some serious interest to build a second Trader. Watch this space, as they say. 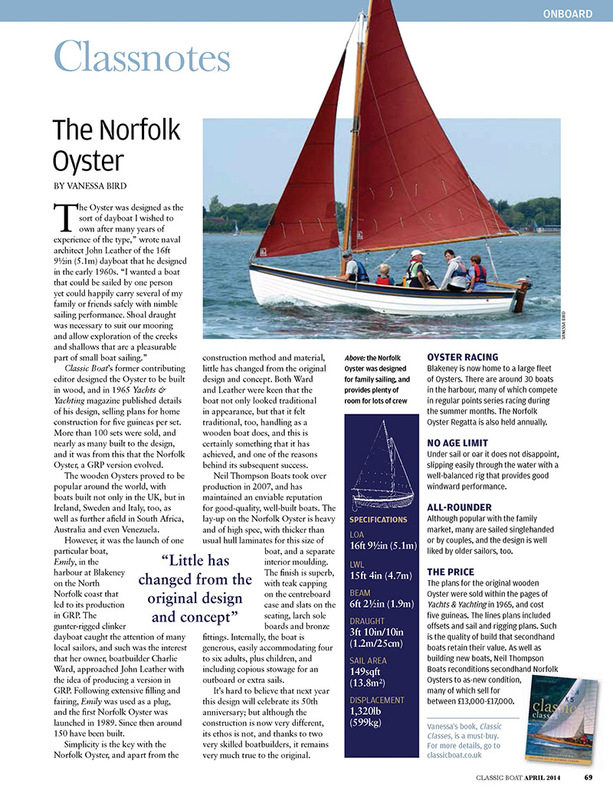 If you want a boat that will last more than one generation, that the whole family can enjoy, that can be raced, rowed or mechanically powered, that can be safely left on a mooring without fear of damage on drying out, that has class and above all is a delight to sail, then the Norfolk Oyster must be at the top of your dayboat list. The overwhelming impression I had of the Norfolk Gypsy was one of meticulous attention to detail, both inside and out, born out of a love of sailing. Owners Log, Many thanks to Graeme Robinson for this article, enjoy! Recommendations from the Sailing Almanacs and others are to round The Lizard at slack water to avoid the overfalls. The Lizard has overfalls in spades. We never know the weather will support our passage plans until we get to the day, but we have to plan it, and slack water off The Lizard on 16 September was at 15.10hrs. We checked with Phil Ward, the harbourmaster at Porthleven, and with Falmouth Coastguard. Phil commented that we were going around on one of the biggest tides of the year, so be careful. Jeremy Warren has sailed around the UK in a Wayfarer and provided passage info’ from Reed’s Almanac over a beer at The Catherine Wheel in Marshfield. Porthleven is c 9m from Lizard Point. Allow 2.5hrs to get there from Porthleven (?) and we can plan from there, so leaving Porthleven c 12.40hrs. But low water at Porthleven was 11.39 hrs, and the harbour dries out, so we would have to launch at the half tide (08.30 hrs) before the tide went out, and moor in the outer harbour. All that meant leaving very early on the Friday morning. I left Polzeath at 06.30, but poor Antony had to leave Bath c 04.30. Our weather forecasts were all pretty similar, Windguru saying winds of 20-23 knots from 13.00 hrs and slowly declining to 19-20 knots over the afternoon, consistently from the north west, which would give us a following wind to the Lizard, and a reach up to Black Head. XC Weather said 25-28 mph winds, and the BBC 25 mph. The Sailing Almanacs recommend going 3m off the head to avoid the overfalls, or 5 m in strong weather and we had to be prepared to make the detour. Antony and I arrived within 10 mins of each other at Porthleven just after 8.00. A quick look at the slipway and we decided to get the Oyster in the water before we put the mast up, and before the water escaped the inner harbour. We were still nearly too slow having paid the launching fees and had to push the bow around and shove Miss Mopsy hard to get her afloat. We then had spare time to get ‘Mopsy rigged, and moor in the outer harbour. We put a reef in, and tied on our buckets and flares. We have a rope ladder tied to the stern cleat on the port side. The external petrol tank is tied down with webbing through the small stern cave locker. Safely launched & rigged, we went to The Harbour View Cafe (strongly recommended) for a full english breakfast and to check the weather forecasts again. We had time to catch up. Since we last sailed (around Land’s End) people were beginning to be able to discuss Brexit in temperate voices, and the Olympics had come and gone. Mo Farah, Andy Murray, our Oarsmen, Dujardin, our Cyclists and many more had brought home medals. Who could forget the joy of the Women’s Hockey team, …or the Irish Scullers ?! We sailed off our mooring at 12.20 hrs with some friendly shouts from people on the outer harbour wall. The wind was on our starboard quarter with a following sea and a load of white horses. ‘Mopsy took the weather in her stride and her heavy ballast gave us a steady feel and little roll, sometimes surging down the waves and we guessed making 5-6 knots. We had earlier wondered about going to have a look at Mullion Harbour on the way down, and going land side of Mullion Island, but we were too far out, and did not want to head into Mullion with the wind directly behind us. We realised we were going to be at the Lizard too soon, so planned to anchor in Kynance Cove to wait for slack water. We arrived at Kynance Cove at 13.50hrs, so we probably had averaged 5-6 knots on the way down. It was well sheltered from the north west winds, but not a safe anchorage for us. We dragged anchor twice before resetting again which finally seemed to hold for our last 20 mins at Kynance Cove. The wind got up between 14.40 and 14.50, and then steadied again. We were still dry at this point. We could not stay at Kynance Cove. It would be difficult to go back against the weather to Porthleven. We had bought the ticket, and had better get on with it. We exchanged a look, knowing we had to pay attention, said nothing, and sailed off the anchor at 15.00 hrs. We briefly had the wind and waves on our starboard side, leaving Kynance, and caught our first few lapfuls of water. We had timed the tide right; the sea was confused off Lizard Point, but not especially rough, just windy with more white horses, so we decided that we could round the point within a half mile, and did not have to travel 3m out. We lost our footing at one point, lurched, and put the gunnels in the water, but ‘Mopsy’s weight righted us quickly and we were off again with an extra bathful of sea water, which put the scuppers to work on the seats. It was too bumpy to kneel down and start pumping the bilge. We had rounded Lizard Point at 15.20 hrs and now had the wind on our port side on a reach towards Black Head. Antony on the helm was slipping some of the wind to keep us steady and we had regular face and lapfuls of relatively warm sea water. ‘Mopsy’s weight kept us punching through the waves which did not seem to slow us. We were pretty drenched by the time we got to Black Head at c16.20 hrs, now turning a little more north past Coverack (an escape route if needed) towards The Manacles, a row of rocks leading off the peninsular towards a cardinal point a mile out to sea. The Lizard peninsular was now providing a flatter sea, but the north westerly winds were still strong. We passed The Manacles c 17.00hrs finding a route through the rocks populated by lobster pots used by the fishermen, as we did not want to go around the cardinal point leaving us with wind on the nose into Falmouth. We saw our first other boat, a fishing trawler heading for Fowey. We were otherwise alone all the way round, except for a couple of gannets. We were not going as fast through the water as the leg down to Kynance but the tidal stream was now getting into play and sweeping us along which we could see by the way the tankers were sitting at anchor once around Black Head. We were now on a long haul up to Falmouth staying as close to the wind as we could. We could see the quarry beside The Manacles (planned to provide aggregate for the proposed Swansea Marine Power plant), passed the Helford estuary (home of Daphne Du Maurier’s Frenchman’s Creek) and managed our way in between Henry V111’s Pendennis and St Mawes castles by St Antony’s Lighthouse, at 18.30 hrs. Mylor is another 2-3 m north of Falmouth and we were now tacking our way against the wind. By 19.15 we were within sight of Mylor, but it could still take another 45 mins to sail it as the tide had turned against us to empty Carrick Roads. We decided to motor, dropping the sails and using the remaining passage time to stow the boat and pump the bilges as the water taken on was seeping over the floor when we listed. We were staying at the Admiralty Apartments at Mylor. We put ‘Mopsy on an inner pontoon and set off to find our family & friends. It was a memorably fun sail. We had covered 33.2m (28.8 nm) at an average 5.2 knots. The wind had helped us down to Kynance, the tide had pushed us the rest of the way until we got to Falmouth. The next days we sailed with friends to The Ferry Inn at Helford, to Cellar’s Bay at St Mawes, and to Portscatho, picnicking and playing cricket on the beach in sunshine on the way. Miss Mopsy is now washed down, cleaned, polished and back in her garage for the winter…….. time to plan for next year.